BigContacts is a web-based platform that stores contact data, notes, and history into a place where users also have easy and quick access whenever they need it and wherever they may be. The platform also allows users to easily assign tasks, share calendars, and distribute contacts. With a user-friendly dashboard that is easy to navigate, read, and edit, users can also customize it to contain specific information about their contacts to improve workflow and work output. Every organization has different needs and needs a system that can be personalized for their size, kind of staff members and buyers, and the particular industry they are in. For these reasons, no platform can provide perfect functionality out-of-the-box. When you look for a software app, first be sure what you require it for. Read some BigContacts reviews and ask yourself do you desire basic features or do you require advanced tools? Are there any industry-specific features that you are looking for? Find the answers to these questions to assist your search. There are plenty of factors that you need to reflect on and these include your budget, particular business needs, your company size, integration requirements etc. Take your time, use a few free trials, and finally choose the app that offers all that you want to boost your firm efficiency and productivity. How Much Does BigContacts Cost? We realize that when you make a decision to buy Sales Software it’s important not only to see how experts evaluate it in their reviews, but also to find out if the real people and companies that buy it are actually satisfied with the product. That’s why we’ve created our behavior-based Customer Satisfaction Algorithm™ that gathers customer reviews, comments and BigContacts reviews across a wide range of social media sites. The data is then presented in an easy to digest form showing how many people had positive and negative experience with BigContacts. With that information at hand you should be equipped to make an informed buying decision that you won’t regret. 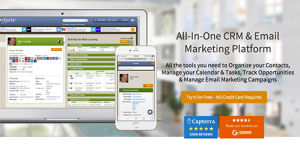 You won't find a better CRM system on the market! Same goes for their support! What are BigContacts pricing details? What integrations are available for BigContacts? Pros: It left me with an open mouth to see how easy and maintainable this software is. I had questions, obviously, but they were of no concern with such an awesome support team. Cons: I would like the system to delete incorrect files in case you attach them to an important email. That would help. There is space for other email improvements too, for instance a movable email window. Pros: There is an awesome 'Want to buy' category, where all of my potential customers are being displayed. I send requests to them, and I get the job done without doing 'mental experiments' to analyse people's motivation. Who said money doesn't buy happiness? Cons: They correct spelling automatically, which is a good thing in most cases. However, entering names of companies does get tough, because they don't display the actual name in the drop down, but the closest correctly spelled version (D & M , or D an M will be displayed as D and M). The marketing feature is among the best I've ever seen, and it facilitates reporting. Everything easy, everything on time-that's my definition of BigContacts. If you need more information about BigContacts or you simply have a question let us know what you need and we’ll forward your request directly to the vendor.